When designing your website, you want to use color to inspire a certain mood within your visitor. You can inspire a certain psychological response by merely leveraging the use of different colors and images. 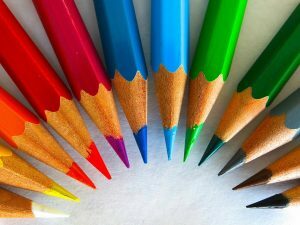 The use of color have been proven to be an outstanding leveraging tool, especially when combined with interesting and useful content. The color red for instance will automatically inspire urgency, this is an attention-getting color and must be used in accordance. Where orange has a more adventurous and sense of affordability kind of effect. Yellow is known to inspire cheerfulness and fun, and sometimes even achievement. Green is a natural color and it will inspire thoughts of nature, and balance. The message of clarity of thought and communication can be sent by using turquoise. Strange enough, blue inspire thoughts of honesty and trustworthiness setting the visitor at ease by subconsciously making them feel safe. Ever wondered why Facebook's Primary color is blue, just a thought that may indicate proof of color psychology. Indigo goes well with blue because it creates a sense of integrity and sincerity, it can be very convincing. But don't ever abuse these hidden tactics, always offer a solution to a common need that actually works. Don't "Trick" your visitor because that will only ensure a high refund rate. Purple will have your visitor feel creative and inventive because it's an individual color. Magenta goes well with purple because it's a compassionate color, spiritual and practical. Naturally pink is compassionate, often representing love-making it understanding with a youthful romantic effect. White have been known to inspire the thought of simplicity, that of cleanliness. It represents order, a new beginning or slate to write on. Black is authority, inspiring thoughts of power and control. Grey is pretty much a natural color, more refined and contemporary. Brown will have the effect of comfort on your visitor, inspiring dependability and friendliness. Then there's also what we call the more sophisticated colors like silver and gold, these are considered more superior colors. But don't go painting everything gold and silver. Silver is a modern sophisticated color and it has a calming, even uplifting effect on your visitor. It also has some degree of mystery to it, which can work well with free give-away for instance. Much like silver, gold is often related to high value. It suggests luxury and prestige while reflecting wisdom with beauty and generosity. Use these colors with moderation, and be objective about the kind of mood you wish to create with your website. Creating the desired psychological response is what will keep your visitor on your website. It will even ensure a returning visitor because your visitors will be more likely to book mark your website. Using color correctly is just as important as relevant content creation, if not even more so. Because when you have set the perfect mood, your content will be much more appreciated and valued by your visitor. Color psychology is a proven tactic, used by many successful affiliate marketers. Could that perhaps be one of the reasons super affiliates rake in the high commissions?